I have just recently discovered this great team that does fantasy matches in live action! No story, no intro, no boring talking stuff, just the good stuff. 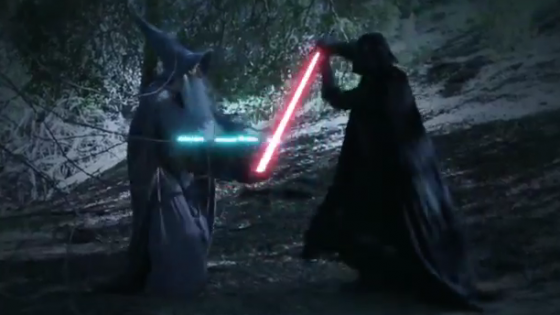 Last time I talked about Wolverine facing off against the Predator, now it’s Gandalf going up against Darth Vader. Who wins? This particular video I enjoyed a lot because it isn’t as 1 sided and obvious who would win. I must have watched it like 4 or 5 times now. It’s pure awesomeness. I must mention that the choreography and the dialogue are also great. It’s obvious that these guys know their fiction. Nothing goes beyond what the characters are capable of and most of all, it makes you believe that these fights can truly happen. The series is produced by Aaron and Sean Schoenke. Enjoy!